Captain Henry Feeney joins Andy and Rich for a trip down to NJ to find a big body of striped bass that has been chasing herring off of Sandy Hook. They vow to leave the bait at home and go only equipped with light spinning tackle. 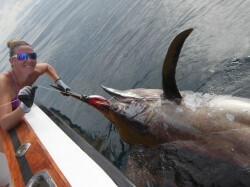 They use only swimming plugs and a couple of poppers to score dozens of fish including several keepers to prove that these fish can be effectively targeted with artificial lures. 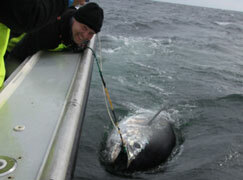 Most anglers would “match the hatch” and fish live herring. However, this one of the few times that artificial baits are more effective. 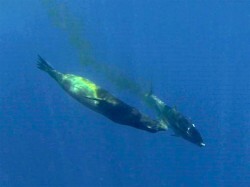 Aside from the dramatic strikes, it is much easier to run and gun (race to fish blowing bait on top) than to drift live baits. 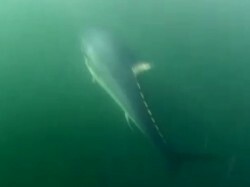 The stripers tend to move quickly and jump from one herring school to the next. 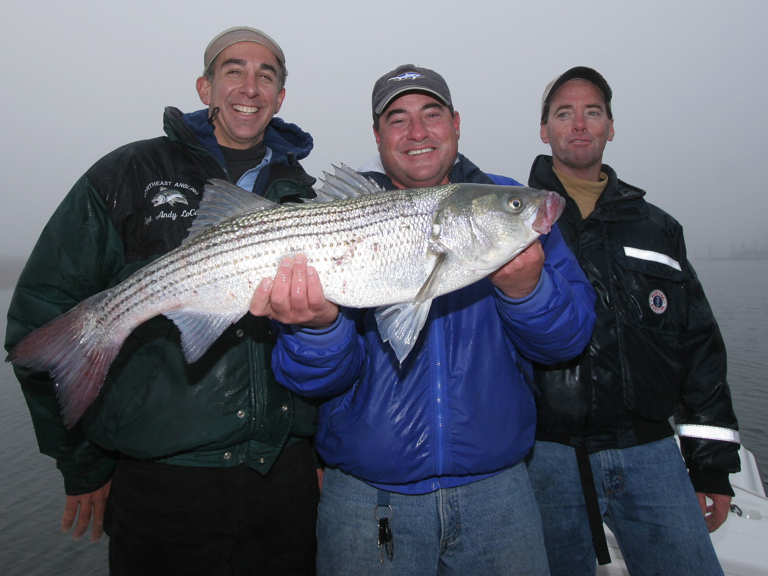 Click here for our Striped Bass Plugging gear recommendations.